There’s a scene in Christopher Nolan’s mind-bending 2010 film Inception which borrows from one of Dutch artist MC Escher’s most iconic works. Transported to a shared dreamscape, a con artist and his grifter apprentice find themselves endlessly climbing a set of Penrose stairs, most famously captured in Escher’s 1960 lithograph Klimmen En Dalen (Ascending And Descending). Cited in the film as a useful piece of “paradoxical architecture” for tricking a slumber-bound mark, it’s a piece of infinite engineering apparently only viable in the unconscious mind, entirely implausible in the waking world (at least not without a bit of Hollywood magic). 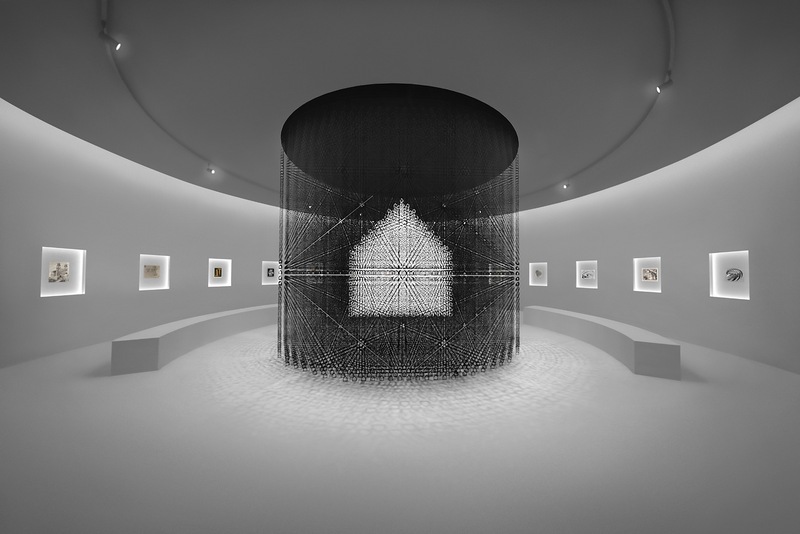 So, when the National Gallery of Victoria approached the creative mavericks at Japanese design house nendo about devising an immersive exhibition evoking similar Escher-inspired impossibilities, they too might have questioned if they weren’t, in fact, on the pointy end of a scam. Fortunately for Melbourne’s art lovers, visionary designer Oki Sato and his team not only took on the challenge but in the process achieved a fusion of the curatorial and artistic that (much like Escher’s art) looks set to take the gallery experience into a whole new dimension. It’s also not the first time the gallery has explored uncharted perspectives on a body of work by counterpointing two seemingly unrelated artists, as was the case for 2016’s Andy Warhol and Ai Weiwei showcase. However, this latest venture is pushing the envelope of this strategy in a way that is breaking new ground, not just for the NGV but also for showings of Escher’s work internationally. Founded by Sato in 2002, Tokyo-based collective nendo has developed a remarkably holistic approach to creative thinking, fusing architecture, graphics, engineering and industrial manufacturing in ways that blur the boundaries between art and design. One of the centrepiece installations of the NGV’s Triennial was nendo’s ’Manga Chairs’, a dazzling exploration of a humble furniture staple, refracted, exploded and reconfigured in 50 different ways. First published 12 November 2018, for Time Out Melbourne.